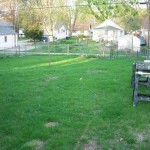 Here are a couple of quick pics of the back yard and a plot in the front yard. 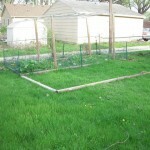 I spent part of sunday last week deciding on how to expand the garden in the back yard. It should be a fairly easy process, just a whole lotta digging. 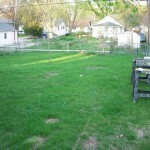 But the front yard, that has been a problem over the years. 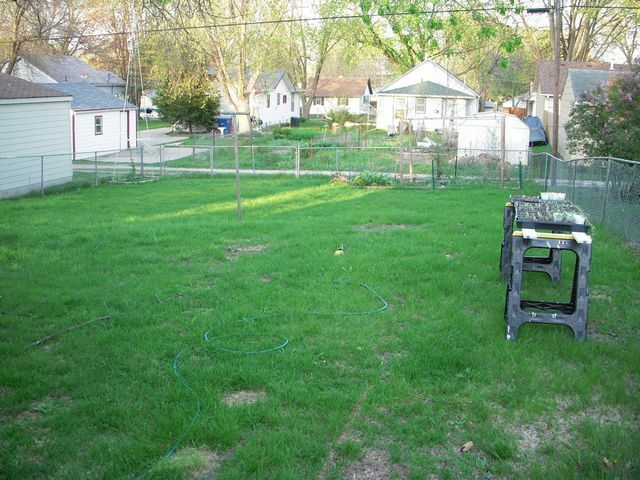 There is this small plot of land in the front yard between the house and a brick sidewalk. 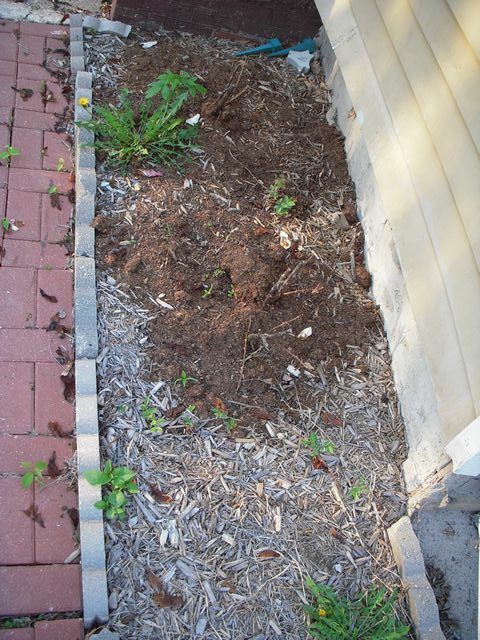 Last year I planted two rose bushes, which were a hybrid called Margaret Chase Smith (after the US Senator from Maine). The only reason that I picked the Smith roses was that I recognized the name, because my sister had a biography of Smith from one of her college classes. Well both of those roses barely lasted a year. So it’s time for a new plan. 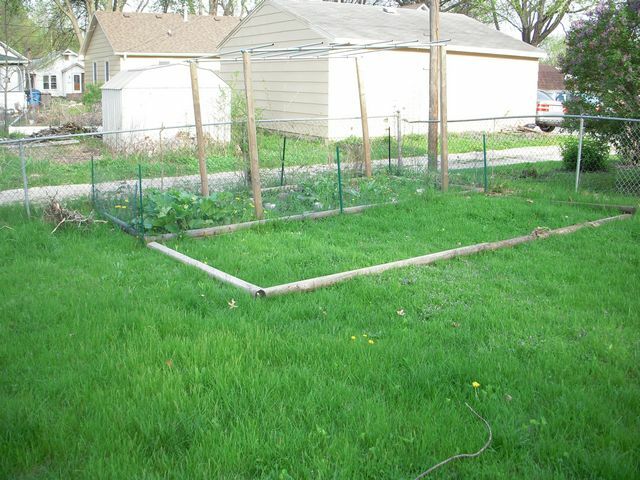 With the plan being to dig up that whole plot of land, and fill it with better soil. 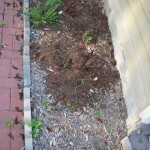 Since the soil that is currently there, is beyond sub-par. I guess we’ll see how it turns out this year. But I’ll probably fill it will dill, poppy and a couple of other flowers. Just to keep it simple. Maybe if I lived in the “really rough” part of town. I could have had a bonfire in the backyard with the couch. Didn’t Burn it? What kind of Spartan Fan are you!? 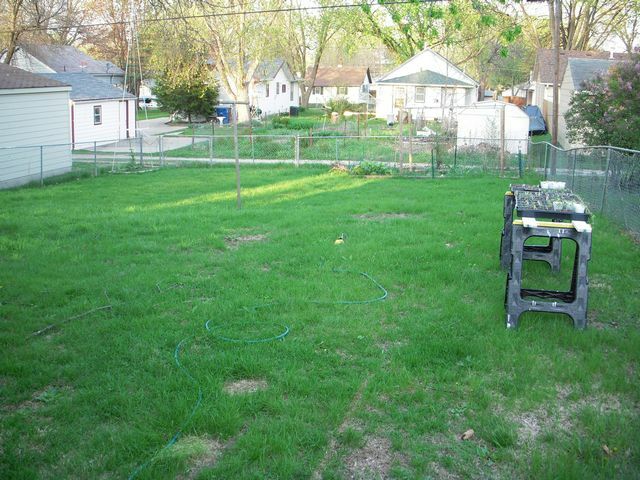 I had a couch out there for a year or two. But the rain and snow totally destroyed it, so I ended up just tossing it out in one of the house demo dumpsters. Just move a couch on to the front porch so it can get severely rain damaged and you’ll be in business. Acidic soil, that would probably explain the 620 effect. But roses always seemed high maintenance to me. Well I do have a trundle bed with Supa’s name on it, so I might have some lovely roses in the front after all. I’d even be willing to remove all the front porch windows just for him. I’ll have to see if they have those roses at the green house close to home. But if I could find those roses from 620, now we would be in business. Even went we tried to kill those roses at 620 they wouldn’t die.